What’s the one product you couldn’t live without? Bronzer, no matter if I am wearing a full face of makeup or a minimal face I always feel that I need bronzer. I love how much it shapes your face and gives you a glow. Favourite make-up brand? 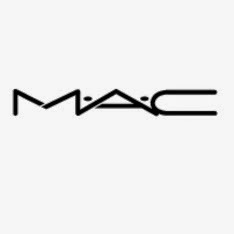 MAC, as I have became more obsessed about make-up I will fall on MAC, I think their brand is very high quality! My two favourites products would have to be Natural Skin finish powder and Blush Baby blush. Although I am loving Soap and Glory at the moment, their archery eyebrow pencil and eye shadow are my favourites! How big is your make-up collection? I would say I would have quite a small makeup collection compared to others, It is however growing..
And how do you like to store it? I have a makeup table in my room which has one full drawer plus I purchased a clear holder of Amazon which I store my every day/popular makeup..
How many items of make-up have you got in your handbag at the moment? Since I have been working I don't carry a lot of makeup but my average makeup bag consists of a Mini sample of Clique Redness Solutions Makeup, Benefit bad girl lash mini, 3 collection 2000 concealer haha, Rimmel Powder, and MUA bronzer. Have you ever bought make-up knowing you wouldn’t use it? At the moment I'm in between whether I can pull of Miley Cyrus Viva Glam Lipstick, it's quite bright and I'm not sure if I will suit it but I can give it a go..
Tag a few other make-up addicts to do the tag!